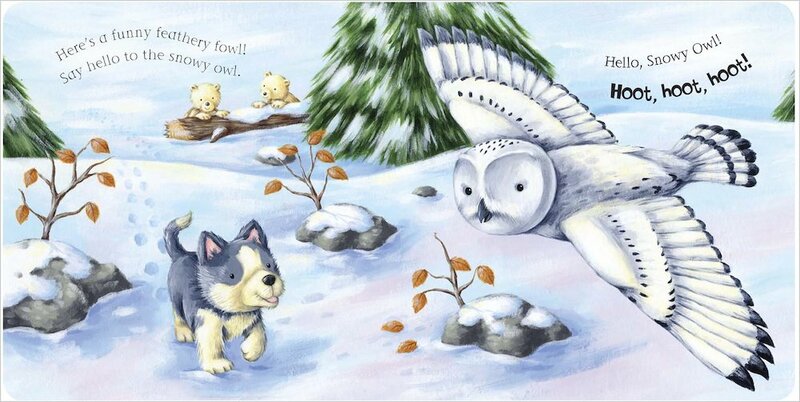 Join the little husky as he scampers off on the snow and ice to say hello to all his Arctic animal friends. 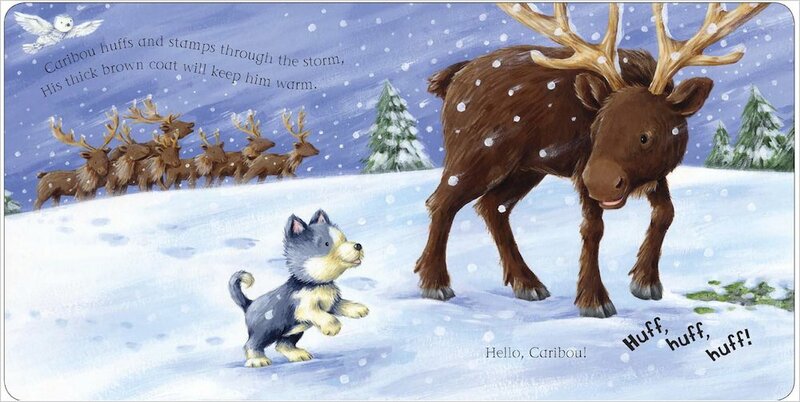 Meet a polar bear, a seal and a caribou too! 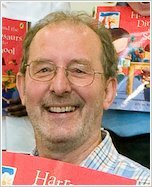 Toddlers will love calling out the animal noises as they turn the pages of this beautiful book, written by the author of Harry and the Dinosaurs. 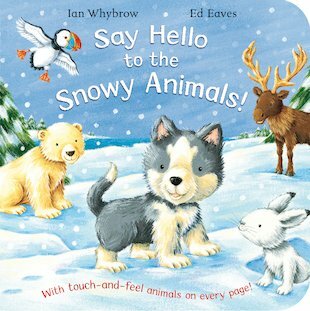 The satisfying rhyming text and velvety soft-to-touch animals make this a beautiful winter choice for younger children.